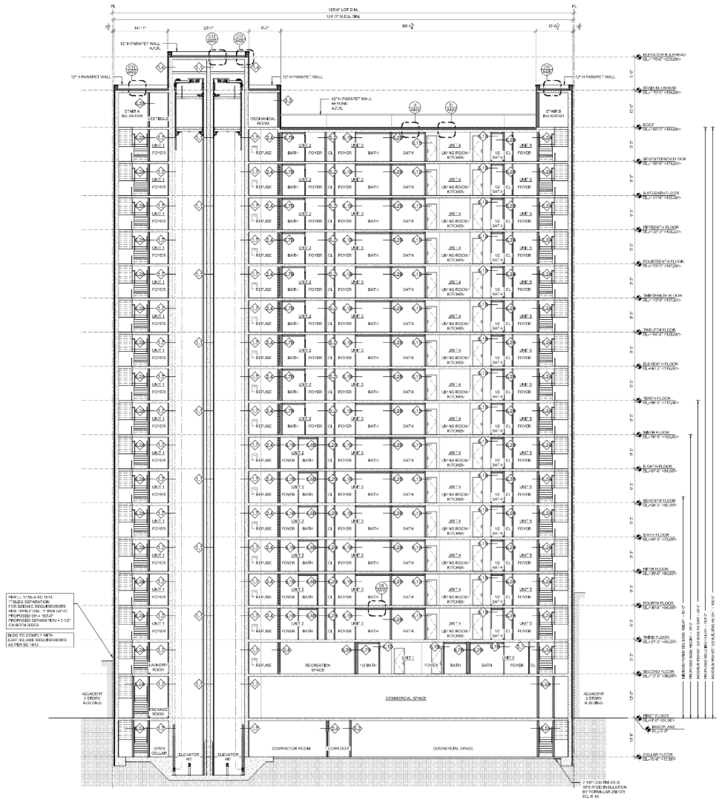 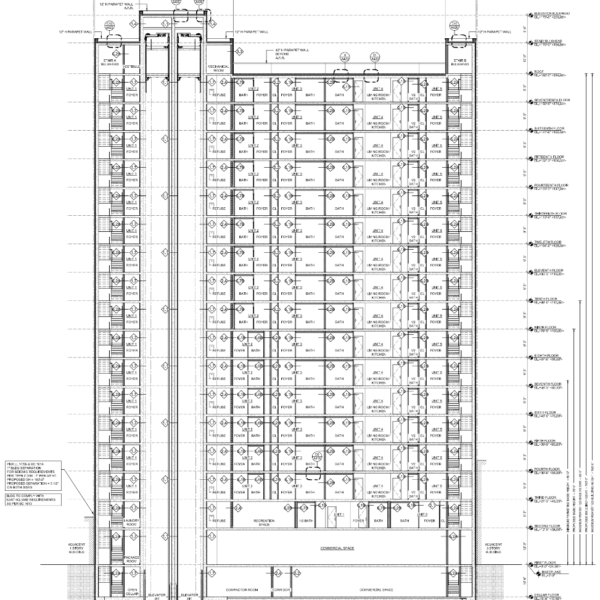 A new 17 story mixed-use residential building with a total gross area of approx. 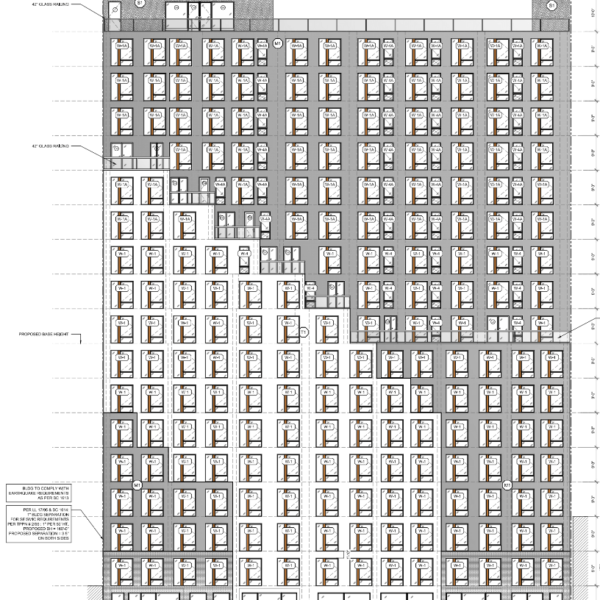 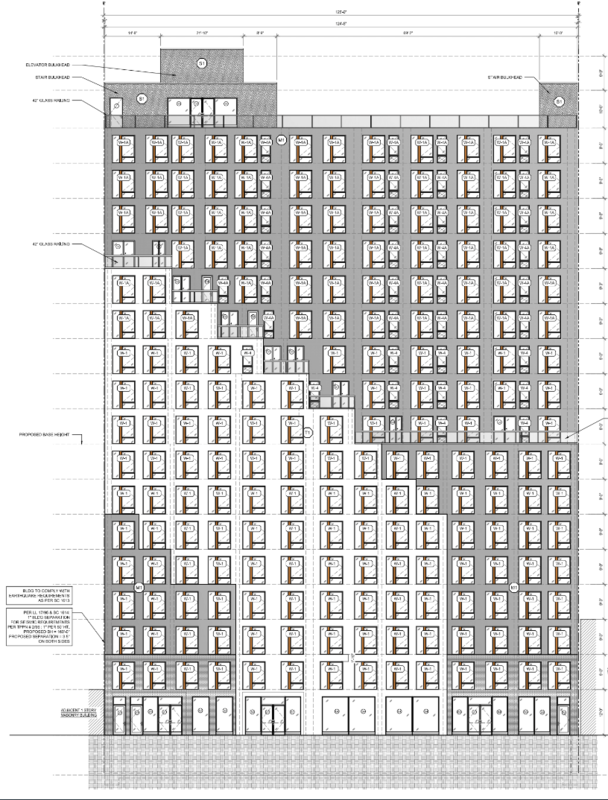 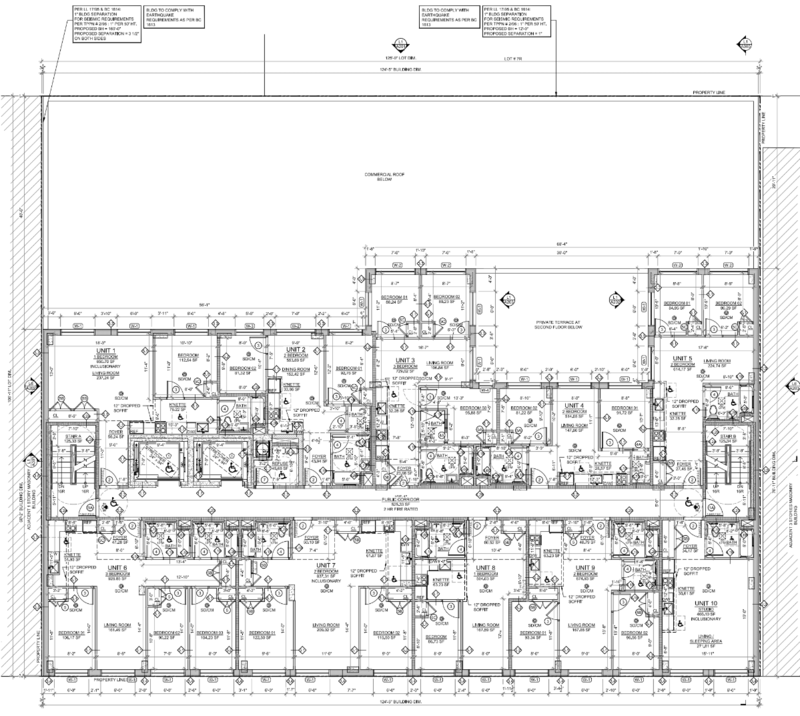 113,000 SF and is based on the current R9 (Inclusionary Housing) zoning district with anFAR of 8.00. 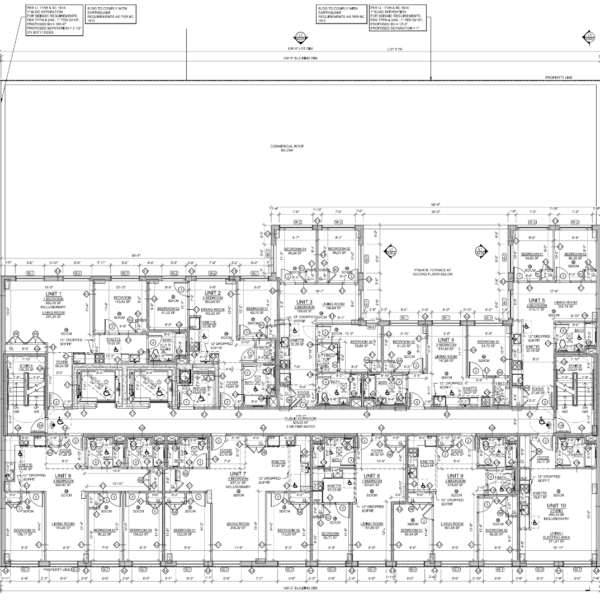 Housing 141 dwelling units, the building will dedicate 3,360 SF to indoor recreation spaces including a lounge + media room and co-working space. 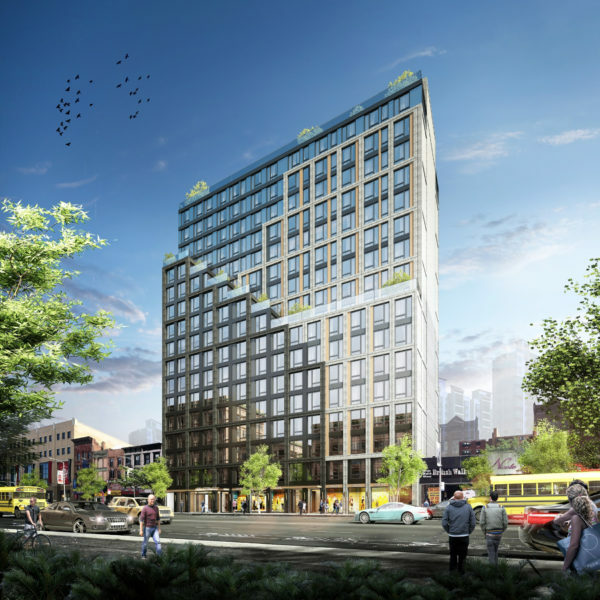 The building will also include a gym, laundry room, bicycle parking and 2 rooftop terraces.